"The NASL is honored to return to Puerto Rico, where the passion for soccer is extraordinary,” said NASL Commissioner Bill Peterson. “The addition of Puerto Rico FC is another exciting step for the league, and the club will play a key role in the growth of the game not only on the island, but also across the Caribbean and North American regions." Anthony has deep ties to the island of Puerto Rico. He and his wife are of Puerto Rican descent, and for the past several years, the New York Knicks star has made it a personal mission to give back to the island’s residents. Through work with his foundation, Anthony has hosted charity events and opened basketball courts all over Puerto Rico. With the announcement of Puerto Rico FC, Anthony is combining his passion for the island with his growing interest in soccer. The eight-time NBA All-Star recently traveled to Cuba as a guest of Pele for the New York Cosmos’ historic match against the Cuban national team in Havana. 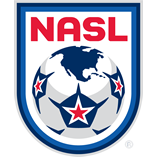 As a team owner, Anthony joins the likes of Ronaldo, Paolo Maldini, and Riccardo Silva, who have all recently invested in NASL clubs. Ronaldo became a part-owner of the Fort Lauderdale Strikers in December, while Maldini and Silva brought Miami FC to the league last month. 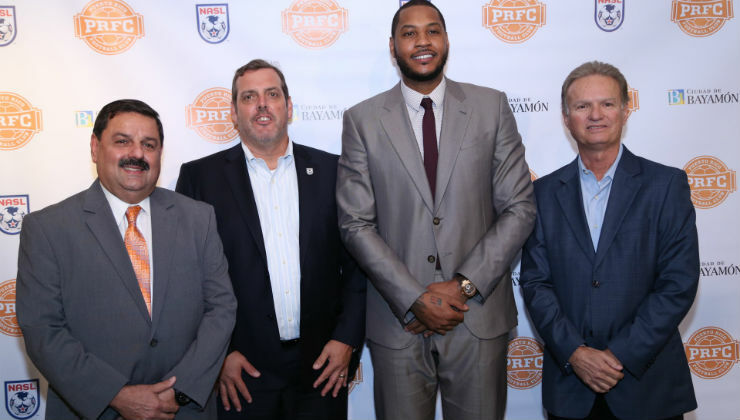 "With Carmelo Anthony leading the charge, Puerto Rico FC has an owner who is very passionate about the great people of the island and the sport of soccer,” Peterson said. “He is an extremely talented and focused businessman who sees the many opportunities that will be developed through the club. Puerto Rico FC will be a very special club, and we're proud to have them in the NASL." With the addition of Puerto Rico FC, the NASL will occupy one of the Caribbean’s most vibrant sports markets. The club will play its matches in Bayamón, which is around 10 miles from the capital city of San Juan – the island’s largest metropolis.